Going from Eco to I Do is not always an easy transition. Everything about weddings in our Pinterest and Etsy-centric world- is about adding more, personalizing and going over the top with elements. This is not always synonymous with the notion of reduce, reuse and recycle. The good news is, many of the current wedding trends also translate nicely to the principles of doing your day, in an eco-friendly way. Even better news? 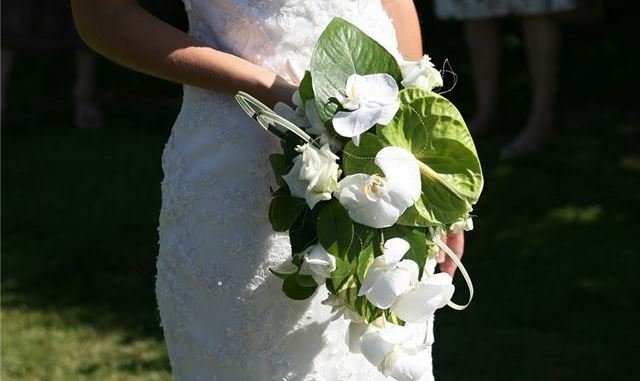 Going green for your special day can reduce the amount of money you spend. With Earth Day, just around the corner, this is a great time to reflect on a few opportunities and ideas that make your wedding as sustainable as it is stylish! Having the ceremony and reception in one location has so many benefits. Ecologically, it reduces emissions and gasoline usage, particularly when you factor in the popularity of larger vehicles such as party busses and trolleys, both of which are so popular now. From a guest perspective, this eliminates them having to drive to multiple locations, reducing their emissions and gasoline usage, and makes a much more seamless experience for them. If these benefits aren't great enough, this can also be a significant budget savings, as average wedding transportation ranges from $2-5K for many of our weddings. While I am referencing location, it is always important to partner with a venue that embraces your priority of green practices as it relates to being eco-friendly. Here at Seaport, we are proud of our sustainable initiatives that include bees on our roof, a working herb garden that is used in our restaurant and banquet facilities and our sustainable practices in guest rooms and behind the scenes at the Hotel. Many venues like ours also offer "Green Resumes" that showcase these practices and are a great way to ensure that you are working with a partner that embraces your commitment to our environment. Fresh, locally sources and regional cuisine is EVERYWHERE in the event industry right now. Not only is this a great on-trend way to provide an experience and education in your menu, but sourcing selections within an ideal 75-mile radius also has major benefits to our planet, and can also save overhead and costs.